Companies Are Not Built Just on Super Stars | APOLLO STAFFING, INC. 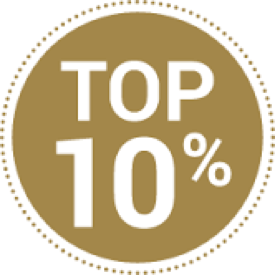 It is an age old cliché I hear all the time; I only want to hire the top 10%. Well, why would anyone NOT want to hire only the top 10%? Problem is, only the top 10% actually exist. So what is happening with the “bottom 90%”? Every now and then I joke with my clients how fortunate I have been in my 30+ years involvement with technical staffing. According to the candidates I met and interviewed, almost without exception they all claimed to be in the top 10%. So upon reflection, I guess I have never really met the “bottom 90%”! Fact is, you do not, and cannot only hire the top 10% of the candidate pool. Companies rarely have enough job responsibilities, required compensation, or career growth to afford only the top 10%, except perhaps in a start-up mode. Turnover would be horrendous as your entire employee base competes for the top 10% of the available roles in your company. Those not achieving their goals would leave in search of other “top 10% opportunities”. So how do companies achieve great success if all they really have to deal with is the “bottom 90%” of employees? One way is to invest in them to help reach the top performance level of their personal abilities. Investment options include company financial investment, as well as personal investment strategies. The most effective forms of investment and rewards occur when the reward takes place as close to the performance achievement as possible. The ability to tie your company values or goals to the employee’s recognition and reward is a very effective way to improve productivity and profitability for all involved. Apollo Staffing always welcomes the opportunity to help you identify and hire the top 10%. And we are not bad at helping out with the bottom 90% either! Call us. 972-996-0966.